Welcome to our Spanish class. Please visit Google Classroom for class-related activities. The Spanish program builds on developing and improving oral communication. Students will increase their vocabulary and grammar through oral and written practice. We shall continue to emphasize pronunciation. In addition, students will study and research different Hispanic cultures. Students will be able to use basic vocabulary to communicate in Spanish. 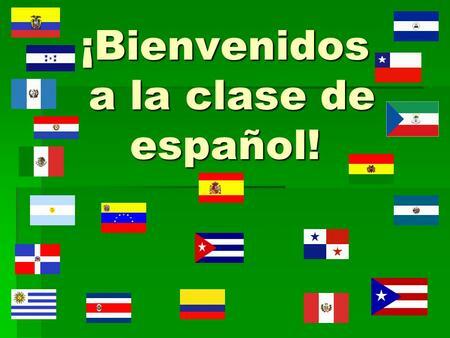 Students will obtain an understanding of different Hispanic cultures. Students learn to appreciate cultural similarities and differences. In turn, this will provide them with the tools needed to interact within our global community beyond the classroom. Homework is assigned on a weekly basis. It must be submitted a week later. There will be NO LATE HOMEWORK will be accepted. Projects will be assigned every other month. Depending on topic, the project will be due 3-4 weeks after. NO LATE PROJECTS will be accepted. Vocabulary Test- one week after distribution and reviewing of words. Content Tests- students will be notify at least a week prior to test. Classwork, group work, and class participation are a must. Plagiarism is the act of presenting the ideas, words, actions or creative work of another individual as their own. It is plagiarism to use words or ideas taken directly from another source without properly citing the source in which it was obtained. This also applies to words and ideas found on the Internet. It is also considered plagiarism to take the ideas of another person(s) and use them as your own, even if you are not directly quoting from the original source. Plagiarism is not accepted at the academy and students who have turned in plagiarized work may be asked to redo an assignment and/or receive a zero for the assignment. A student who has plagiarized may also be subject to certain disciplinary terms as outlined in the Academy Handbook. Remember I am here to make sure that your child has a successful year. If you have any questions or concerns about the requirements, policies, or how your student is doing in class please contact me at any time. You should expect to hear back from me in no more than two school days. Please sign this page as an acknowledgement that you have read our class policies with your child. Please sign below and return this page only.